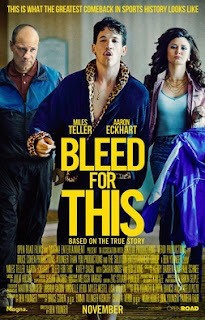 Actress Katie Sagal talks with Jesus, @Thisfunktional of thisfunktional.com, about playing Louise Pazienza, the mother of boxer Vinny Pazienza, in "Bleed For This." Sagal talks about being a mother and pulling from her real emotions to play a realistic mother, the complexity of her character which drew her to it and having her character evolve throughout the movie. "Bleed For This" opens in theaters on Nov. 18.